The Global Volcanism Program has no activity reports for Zapatera. The Global Volcanism Program has no Weekly Reports available for Zapatera. The Global Volcanism Program has no Bulletin Reports available for Zapatera. Zapatera is a small low shield volcano that forms a 7 x 10 km wide island on the western side of Lake Nicaragua just offshore from Mombacho volcano. The island contains some of the most significant archaeological sites in Nicaragua. 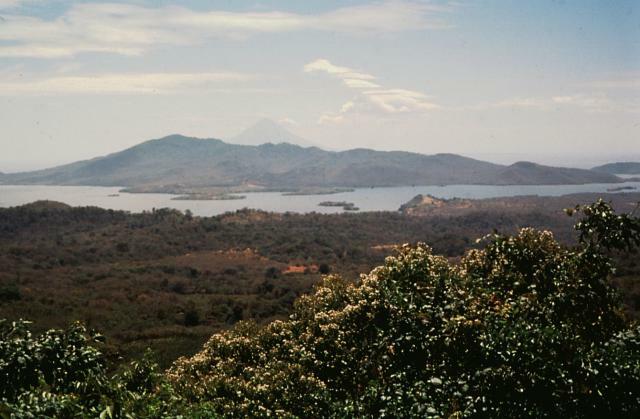 The small, roughly circular 2-km-wide El Llano caldera is located near the center of the island, which is cut by a series of NE-trending faults that continue into Lake Nicaragua. The conical 305-m-high Cerro El Llano lava dome occupies the center of the caldera, and other lava domes are found on the southern and NE flanks. 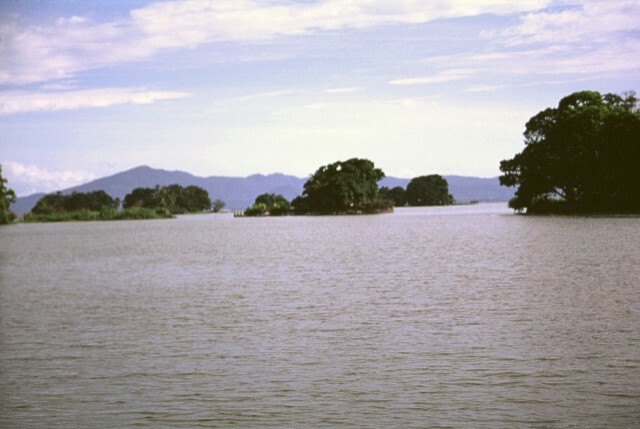 Numerous low-rimmed tuff rings and maars, of which Laguna de Zapatera on the NW flank is the best-preserved, are found on the northern and western sides of the densely forested 629-m-high island and across a narrow strait on the adjacent mainland. The Global Volcanism Program is not aware of any Holocene eruptions from Zapatera. If this volcano has had large eruptions (VEI >= 4) prior to 10,000 years ago, information might be found on the Zapatera page in the LaMEVE (Large Magnitude Explosive Volcanic Eruptions) database, a part of the Volcano Global Risk Identification and Analysis Project (VOGRIPA). There is no Deformation History data available for Zapatera. There is no Emissions History data available for Zapatera. A cluster of maars forms the NW tip of Zapatera Island in this aerial view with north to the bottom. 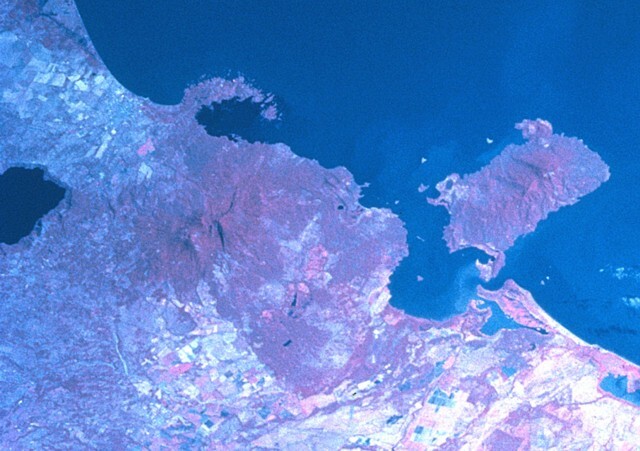 Laguna de Zapatera lies at the upper left, and Punta Rua, the peninsula at the upper right, forms part of the western rim of a maar enclosing the Ensenada de Chiqueros. Isla El Muerto lies just offshore at the lower right. Photo by Franco Penalba, 1994 (courtesy of Jaime Incer). The low-rimmed Zapatera maar in the foreground is part of a maar complex at the NW tip of Zapatera Island on the western side of Lake Nicaragua. Remnants of other maars form small islets offshore. 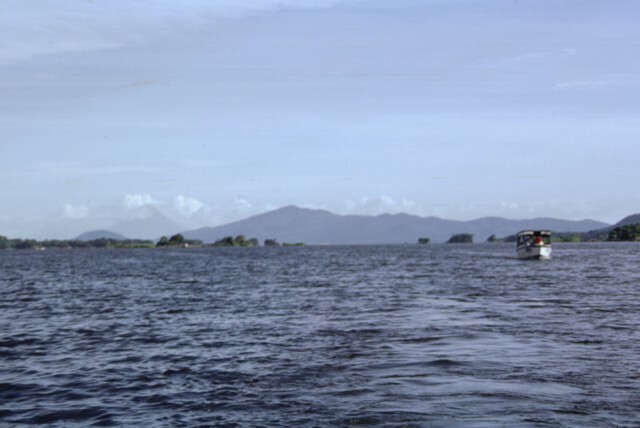 The surface of Lake Nicaragua, the country's largest body of water, lies only 30 m above sea level. The northern shore of the lake in the distance is about 35 km from Isla Zapatera. The long axis of the 70 x 160 km wide lake parallels the NW-SE trend of the Nicaraguan central depression. Zapatera Island, seen here from the NW on the lower flanks of Mombacho volcano, is a small low shield volcano that forms a 7 x 10 km wide island in Lake Nicaragua. The small roughly circular 2-km-wide El Llano caldera is located near the center of the island. Numerous low-rimmed tuff rings and maars are found on the northern and western sides of the densely forested 629-m-high island and across a narrow strait on the adjacent mainland. Concepción is the conical volcano in the distance beyond Zapatera. Photo by Jaime Incer, 1995. 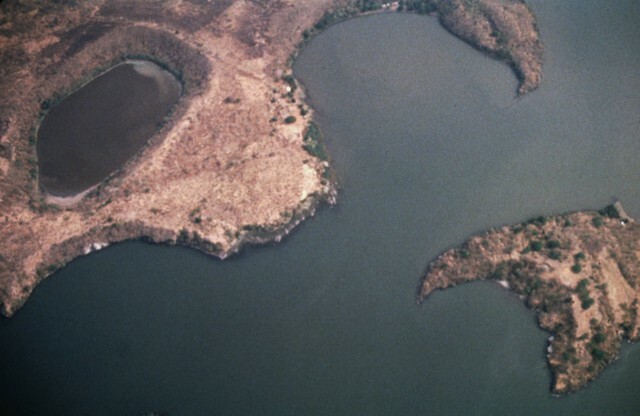 These small forested islands are hummocks of a large debris avalanche from Mombacho volcano that swept into Lake Nicaragua. The horizon is formed by Isla Zapatera volcano, SE of Mombacho. A small boat plies the waters of Ensenada de Aseses, with Zapatera Island forming the horizon to the SE. In the middle distance are the small island hummocks of Las Isletas, formed by a debris avalanche from Mombacho volcano, out of view to the right. The conical peak on the distant left horizon is Concepción volcano; the low, rounded peak to its left is Cerro las Banderas, a pyroclastic cone on the NE tip of Zapatera Island. 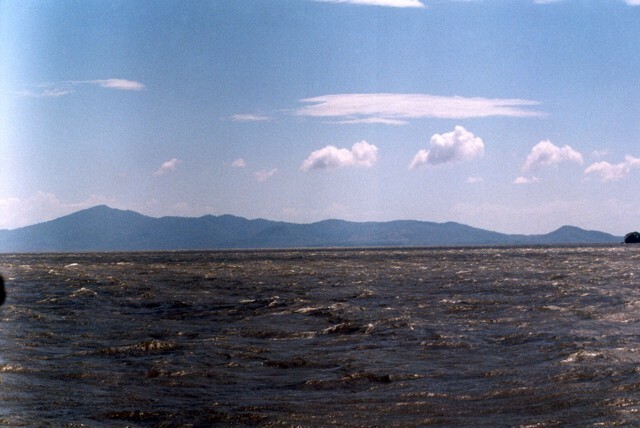 Zapatera Island is seen here from the north across Lake Nicaragua. The 629-m-high summit of the island at the left marks the rim of a fault-bound caldera. The post-caldera cone Cerro el Llano is a faintly visible conical peak whose summit lies just below the horizon near the center of the photo. Photo by Ben Van Wyk de Vries (Open University). Two major scarps cutting Mombacho volcano (left-center) were the sources of major debris avalanches. 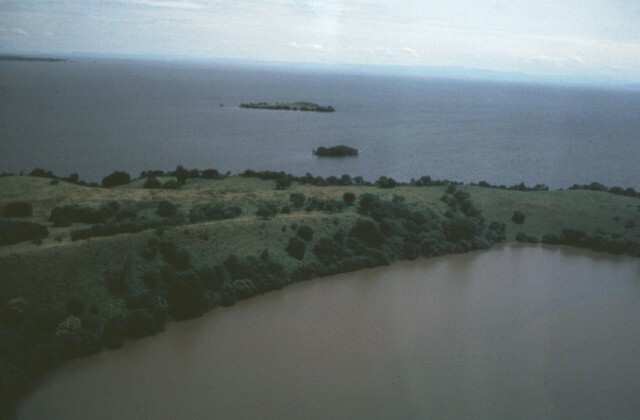 The arcuate peninsula and island chain extending into Lake Nicaragua (known as Las Isletas or Isletas de Granada) was produced by collapse of Mombacho to the NE. The island at the right is Zapatera, a small shield volcano and maar complex. The lake at the far left fills late-Pleistocene Apoyo caldera, and the roughly N-S-trending Granada cinder cone alignment lies NNW of Mombacho and east of Lake Apoyo in this NASA Space Shuttle image (with north to the upper left). There are no samples for Zapatera in the Smithsonian's NMNH Department of Mineral Sciences Rock and Ore collection. Large Eruptions of Zapatera Information about large Quaternary eruptions (VEI >= 4) is cataloged in the Large Magnitude Explosive Volcanic Eruptions (LaMEVE) database of the Volcano Global Risk Identification and Analysis Project (VOGRIPA).